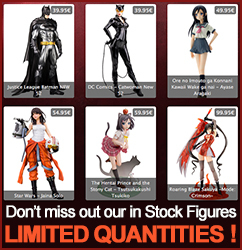 Includes four 1/100 scale figures of game characters ! Metal Gear Solid is a stealth action game directed by Hideo Kojima. The game was developed by Konami Computer Entertainment Japan and first published by Konami in 1998 for the PlayStation. It is widely considered to be one of the greatest and most important games of all time an is a massive commercial success. In the Metal Gear Solid game series, "Metal Gear" are the name given to walking tanks equipped with nuclear weapons. Rex was the ultimate Metal Gear, as it was not only capable of delivering a nuclear warhead both to and from any point on the globe, it could do so "undetectably" and "untraceably". Designed by Yoji Shinkawa, the Metal Gear Rex wields a huge railgun in addition to gatling guns, missiles, and a laser. The main body has a fully armored cockpit and a radome (the round radar on the left) that send datas to the pilot. Four 1/100 scale figures of game characters included (Solid Snake, Liquid Snake and two versions of Gray Fox) allowing the recreation of scenes from the game ! Standing nearly 22cm tall in 1/100 scale, Metal Gear Rex makes for an impressive addition to any display, now in a bold new color scheme ! The Metal Gear Rex model kit includes multiple points of articulation, providing for a variety of posing options.